Enjoy Jacobsburg State Parks 1,000+ acres of great trails filled with wild flowers, wild life, and streams on the back of a horse! Minutes form Allentown, Bethlehem, Easton, & the Poconos! Jacobsburg State Park in Wind Gap, Pa. 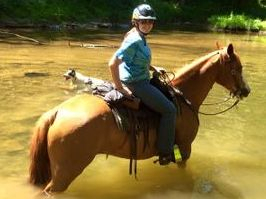 This relaxing 1 hour semi-private trail ride will consist of small groups of 2-6 people per ride. Riders will travel through woods and fields on our gentle, well-mannered, natural horsemanship trained horses-- guided by our knowledgeable, professional, safety conscious staff. the Lehigh Valley's best unparalleled trails! (1 hour on the trail and 15 minutes for instruction). 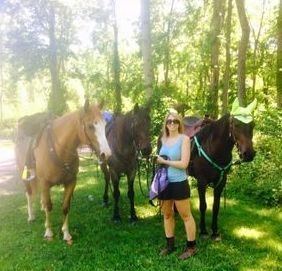 Our quality trail rides are guided rides in small semi-private groups. At Quarter K Ranch we are focused on providing the best horseback trail riding services in Pennsylvania with the highest levels of customer satisfaction – we will do everything we can to meet your expectations and provide a wonderful memorable riding experience. Look around our website and if you have any questions please feel free to contact us. 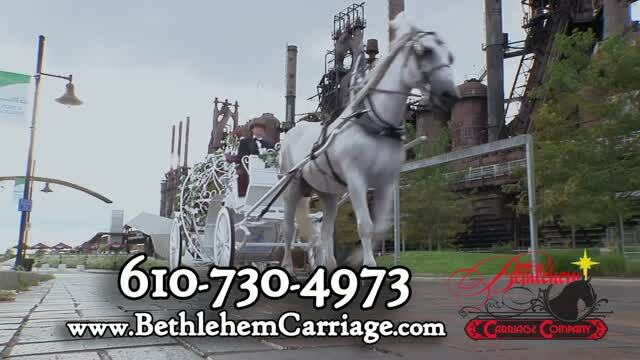 We also offer CARRIAGE RIDES, HORSES FOR SALE/LEASE, PONY PARTIES, and NATURAL HOOF TRIMMING SERVICE. We hope to see you soon! Happy Trails and God Bless!